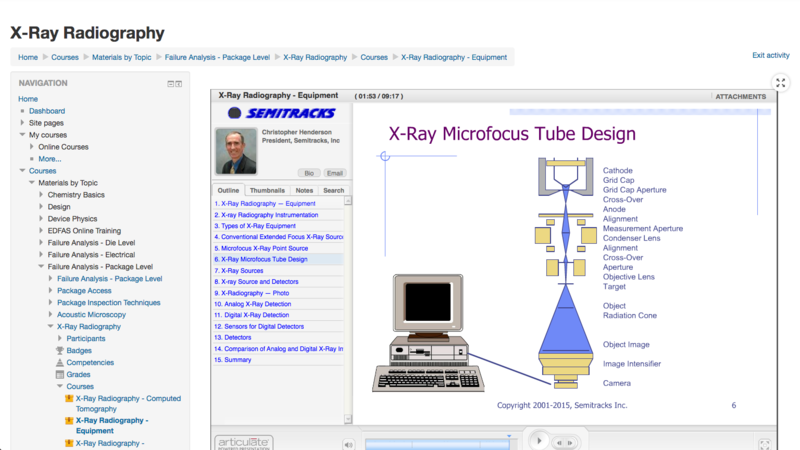 Semitracks was formed to help you understand the dynamic semiconductor field. Our online semiconductor training courses can be customized for your job function. The structure of the material allows you, the user, to learn when you have a few moments free; alleviating the need to carve a large block out of your schedule. Other disciplines allow you to cross-train for potential promotions or transfers, or to simply do a better job in your current position. The material is always current and interactive, allowing you to learn the material easily. You can search our databases for answers to questions you might have, or simply use it as a reference. View several example Online Training presentations here. 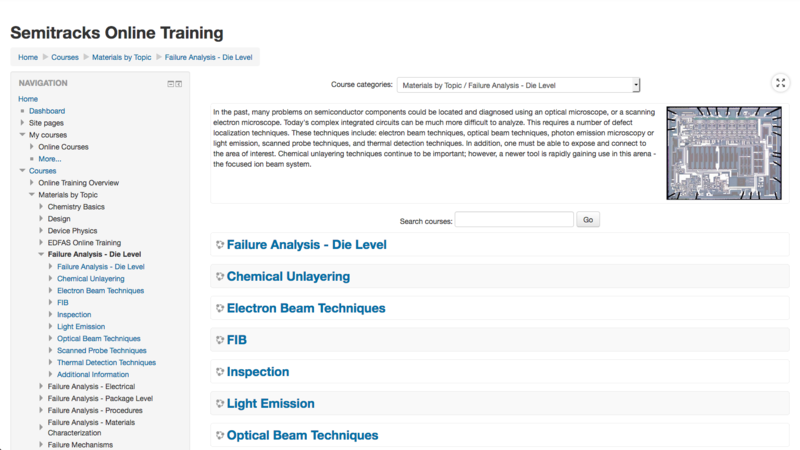 View a list of material in our Online Training system here. Increased flexibility that allows you to learn at your own pace when you have time rather than follow a restricting class schedule. Eliminated travel hassles. Now your training goes wherever you are. And, as long as you have a high-speed Internet connection, you can access your training content from anywhere in the world. Individualized access via web interface with Learning Management features. Indexed and searchable content that allows you to quickly find the materials you need. Participate in discussion groups to comment on courses, documents, and videos. For a full list of benefits and advantages, please view our advantages page. Please fax the printable registration form for online training to us at 1-866-205-0713 to complete your order. Please note, if paying by Purchase Order, we will activate your account once payment has been received. You can Sign into our Online Training System here. Each account is an individual subscription tied to an individual person with a username and a password. 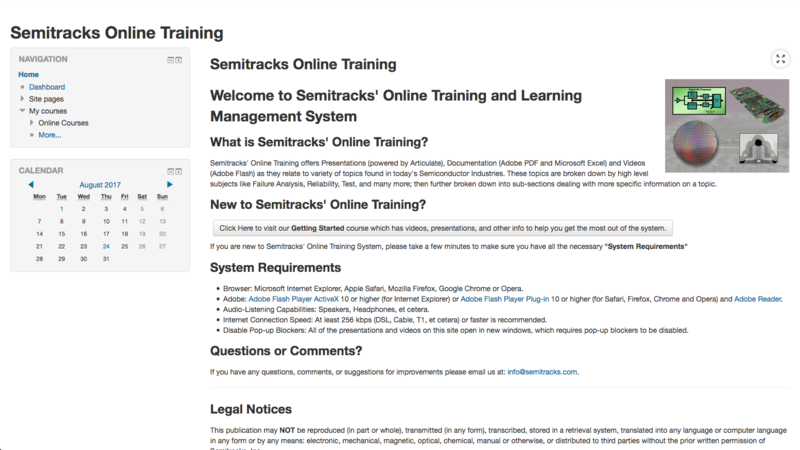 Online Training Accounts are not to be shared with other users, unless otherwise negotiated with Semitracks. An individual holding an Online Training Account can print materials for their own reference, but the Online Training materials are not to be further reproduced and circulated. Presentations within the Online Training system are for individual viewing use only and may not be re-broadcasted to an audience without the express written consent of Semitracks. For an optimal experience with our Online Training System, you will need an Internet connection of at least 256 Kbps and the Adobe Flash Player ActiveX version 19 or higher for Internet Explorer, or the Adobe Flash Player Plug-in version 19 or higher for Firefox, Chrome, Safari or Opera.